There are only a few ways to respect a perfectly ripe, garden fresh tomato. 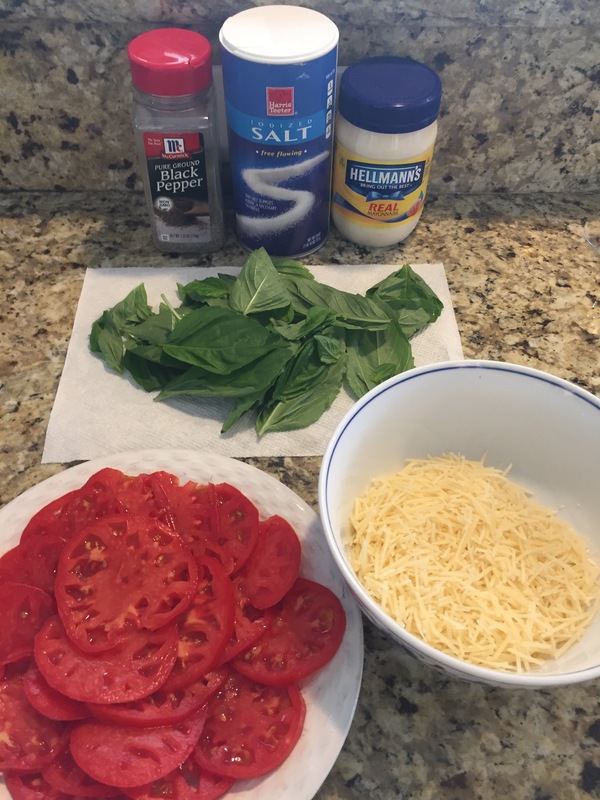 A tomato sandwich with baked white or sourdough bread, Hellmann’s Real Mayo, and salt/pepper is a classic favorite. I would even put a toasted BLT in this catagory. 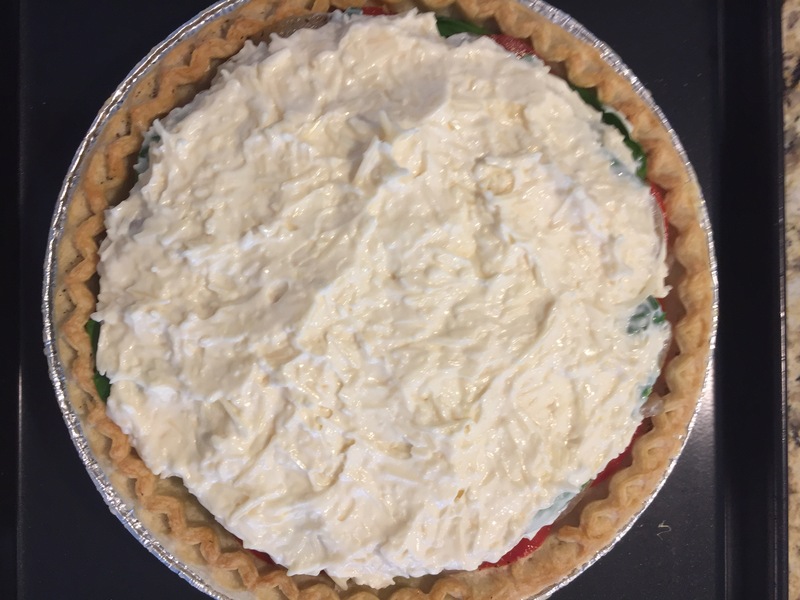 However, if you want to take it up a notch, tomato pie is absolutely a little slice of heaven. 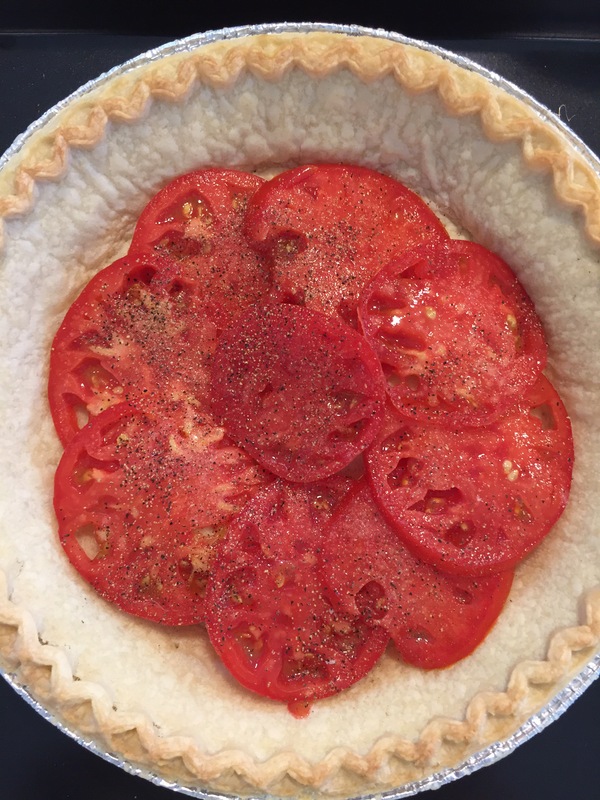 There are a million ways to make a tomato pie, but this is one of my favorites. For those who don’t know my cousin (remember, the one with the unbelievable shrimp and grits recipe?! ), she’s quite the cook also. This is her recipe that has come down from her mom’s side of the family. Her mom (my aunt) is one of the best cooks and bakers I know. Period. You obviously want to begin with the most perfectly ripe tomato slices you can find. These came from our garden. 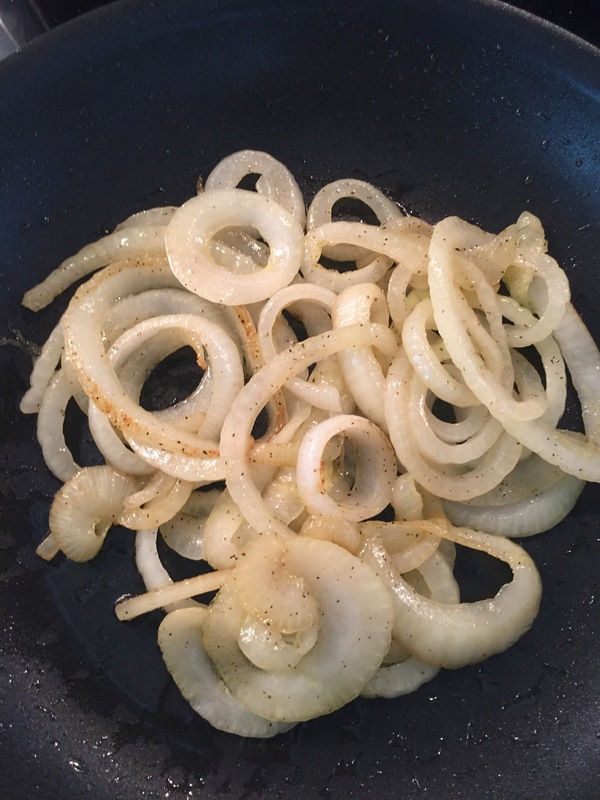 Slice a large vidalia onion and sauté it with a tablespoon of EVOO over medium heat. I like to let the onions cook way down until they begin to caramelize. Rinse and pat dry about 15 basil leaves. Now here is where this recipe stands out from the rest. Instead of using cheddar cheese, combine 1 cup of shredded Parmesan and 1 cup of mayonnaise. Set aside. 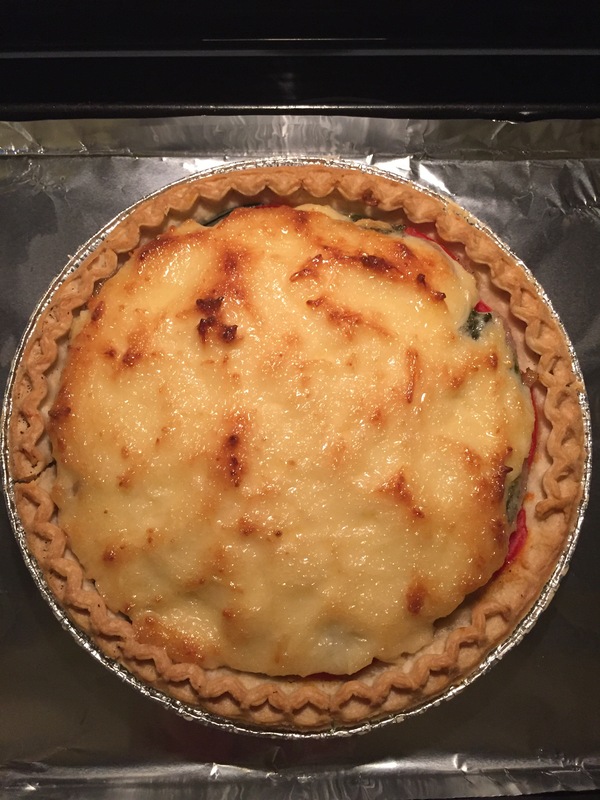 Cook your pie crust according to the package instructions and let cool completely. 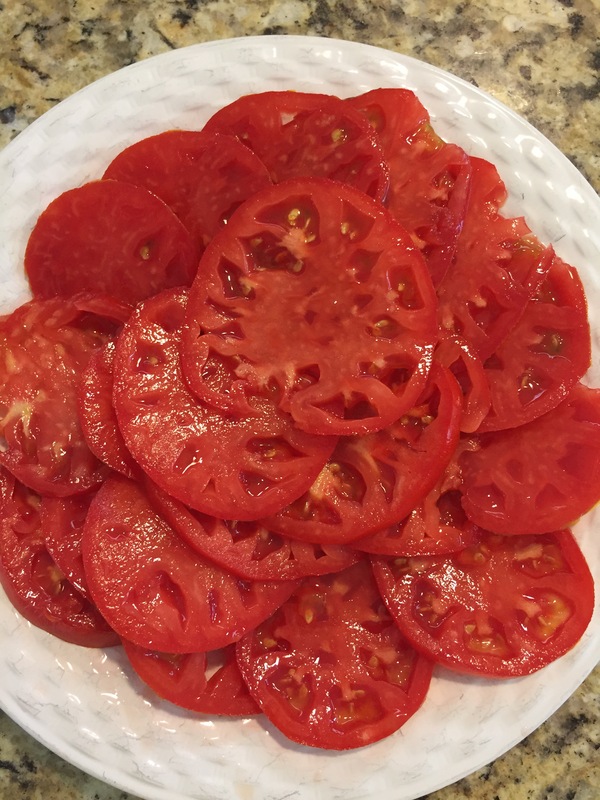 Layer your tomatoes and generously salt and pepper them. 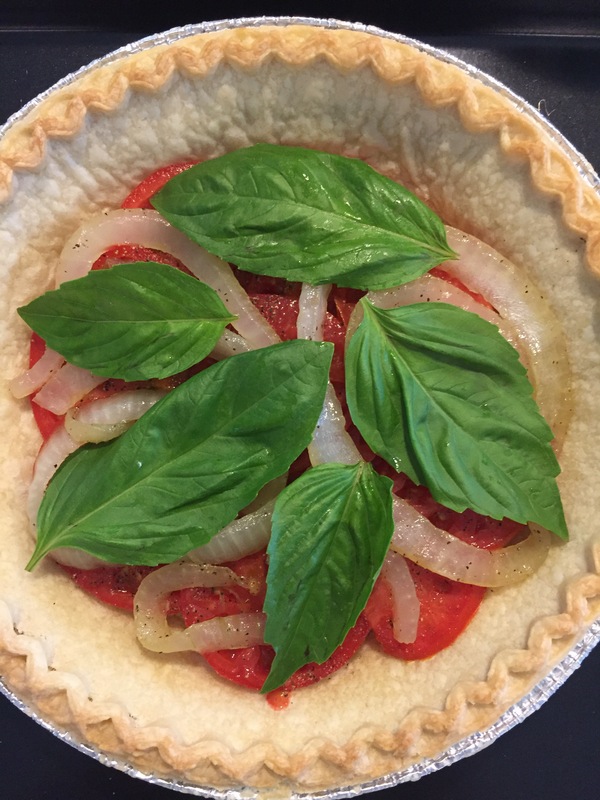 Now layer in your onions and basil leaves. Repeat 2 more layers of each, ensuring you salt and pepper each tomato layer. Top with your cheese and mayo mixture. Bake at 350 degrees for 30 minutes. Pairs well with fresh corn and a mixed green salad. Enjoy!